There are no shortage of stories of people who died unexpectedly and with no estate plan or financial planning for their family. But what happens when older, or even elderly parents refuse to prepare for retirement? If that seems peculiar, you should know that it happens more often than we realize. In 2009, only 35 percent of Americans had a Will. 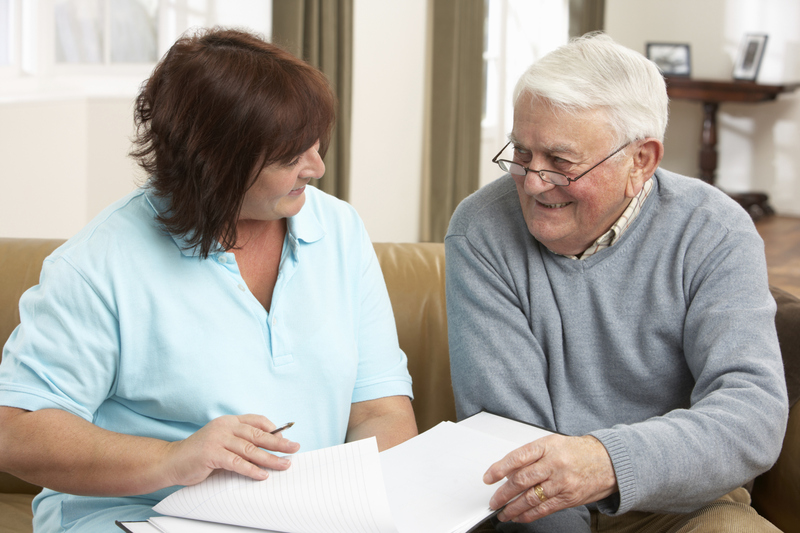 Just two years earlier, 45 percent had taken the steps necessary for a Proper Will. Even fewer of us had Powers of Attorney in place – 29 percent compared to 45 percent in 2007. And Trusts? Less than 20 percent of us have any kind of Trust in place – down from a 2007 high of 31 percent. So what could cause some to forego this very important task? Most experts have a couple of different reasons that, according to them, come together to provide enough of a justification to bypass it, at least for the short term. Many are still leery of the economy. The nation is split, in a ways unlike anything in the past, and because of that uncertainty, some Americans are delaying their Wills and overall estate planning. As one analyst said, “They’re thinking about stability today, not security for tomorrow”. That makes sense, but it’s also challenging since many of today’s seniors and retirees are baby boomers. They know the importance of planning, but they’re simply focused on covering the bases today. Others have realized that they won’t be able to retire when they planned. They figure putting these documents into place now would be moot since the details are bound to change. As estate planning lawyers, we’ve seen this and we encourage our clients that the foundation of an estate plan never shifts and for the details that do shift, they’re far easier to change than they realize. Often, younger Americans feel that they’re unsure of how many children they’ll have, what kind of career turns they’ll experience and even if they’ll face divorce at some point. For those closer to retirement, they may not be worried about growing their family, but they might be frustrated that all of their saving and planning didn’t provide as well as they thought it would. Again, it all comes down to putting the foundation in place that will provide protection in the here and now as well as the future. Usually, when Mom and Dad approach it from a perspective similar as this, they’re inspired to take steps. Because they may not be focused on their Wills and estate plans, they likely aren’t giving long term healthcare insurance much thought either. It’s always wise to consider these types of policies when you’re young so that you’re not stuck paying extraordinary premiums when you’re older. The premium difference between a 50 year old and a 60 year old would surprise you. Not only that, but it’s peace of mind that ensures protection not only for themselves but their family. Again, realizing the savings of buying policies earlier can be an incentive. It can be overwhelming, but that doesn’t lessen the importance. Estate planning as a whole is an affordable way to protect your future. It allows you to shift assets in such a way that any heirs aren’t facing huge tax bills after you’re gone, it can provide a path towards a healthier retirement and protection in ways you might not have even considered.